Gangland hitman Johnny Keogh killed Gareth Hutch for cash when the New INLA - of which he was a key member - aligned itself with the feared Kinahan cartel. However, the Herald can reveal he ended up not getting a single cent for the murder. Detectives investigating the killing believe 33-year-old Keogh had been offered a significant amount to carry out the hit, but that money "never changed hands". Senior investigators were so concerned Keogh would carry out more crimes in the Hutch/Kinahan feud that several objections to him receiving bail were successfully raised in the High Court. Gardai argued Keogh was a member of an organised crime gang involved in the feud that has claimed up to 18 lives. At a hearing earlier this year, a senior officer said Keogh had the "wherewithal to engage in further crime" if granted bail. It can also be revealed that key State witnesses in the case were given 24/7 armed gardai protection for fear they would be targeted by Keogh's associates. One of the witnesses remained in Dublin despite threats to her life, while two others were relocated outside the capital. 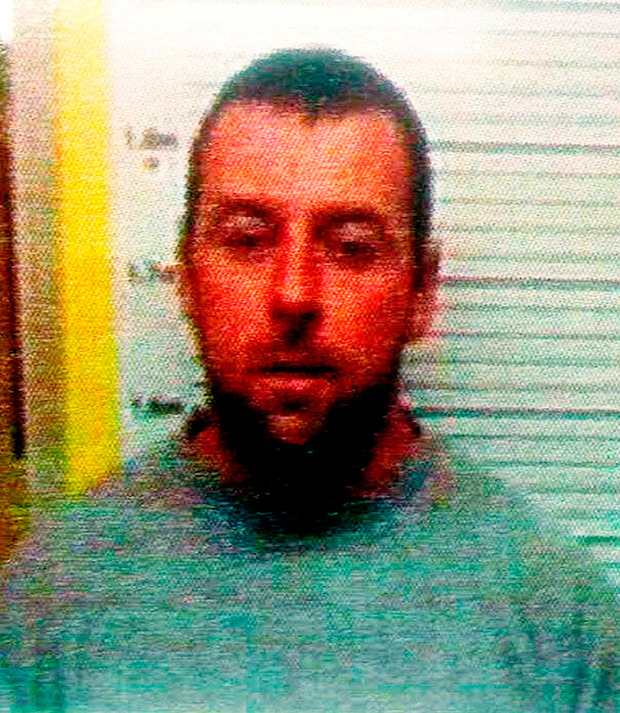 Keogh decided to flee the country after murdering Gareth Hutch - a nephew of Gerry 'The Monk' Hutch - and was driven across the Border by his associates. Detectives tracked him down to Essex, in the south of England, after he applied for a new passport. 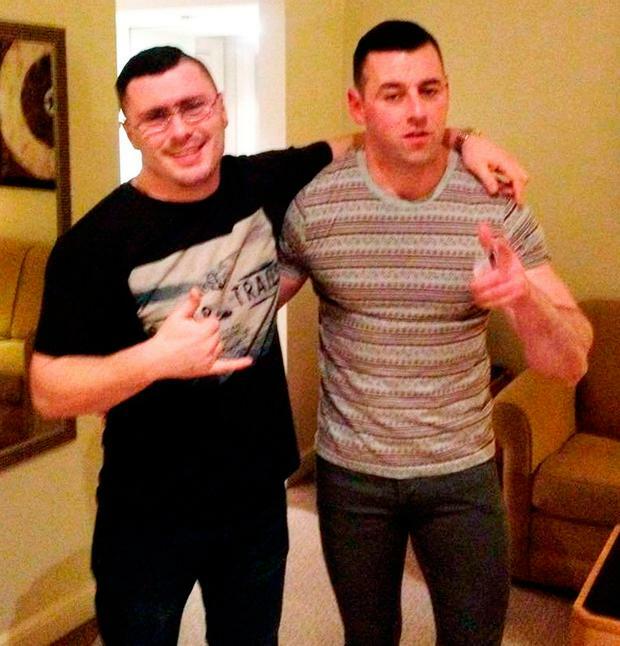 Gardai contacted members of the UK's National Crime Agency (NCA) who arrested Keogh in a major operation and transported him back to Ireland in a military plane. Keogh, along with cartel associates and convicted killers 'Fat' Freddie Thompson, Eamonn Cumberton and Paddy Doyle, were transferred from Mountjoy Prison while on remand because of serious disciplinary issues. Keogh has been banged up in Portlaoise Prison since the beginning of the year. After the move, Keogh became fearful for his life and started a 24-hour "dirty protest" followed by a six-day hunger strike. He is a hate figure among dissident republicans in the prison - which is ironic because it was in Portlaoise that he served an eight-year sentence for making bombs in an apartment in Park West, Clondalkin, in September 2008. He pleaded guilty to the unlawful possession of explosive substances, including four pieces of steel piping, eight metal caps, bulbs, batteries, wiring, travel alarm clocks, propellant powder and 10cm-long nails. Gardai found enough material to make four pipe bombs, including nails which could be taped to the bombs to cause maximum damage. Keogh was one of five men arrested in the apartment. In a telling sign of what has always motivated his criminal career, a detective giving evidence at his sentencing hearing said Keogh was building the bombs to use against drug dealers. Keogh and his INLA crew were involved in "a money-making racket", using kidnapping, extortion and explosive devices to threaten drug dealers. After being released from jail in 2014, Keogh continued with his organised criminal activities and was heavily involved in extortion, intimidation and other crimes throughout the capital, with close links developing between his group and mobsters in Limerick and Eastern Europe. Keogh and his close associates - including on-the-run thug Thomas 'Nicky' McConnell, crazed criminal Gerard Mackin and half a dozen other major criminals - grouped together to form an organised crime gang that became known as the New INLA. "They were involved in extortion, criminal debt collection and drug dealing but they were also involved in a 'legitimate' security business in Ballymun," said a source. "They were making tens of thousands of euro each month, but this was not enough for them. "They were greedy and wanted more, so some of them offered to become the main hitmen for the Kinahan cartel after the Regency bloodbath." A key member of the mob was Keogh's childhood friend Eamonn Cumberton, who was the first person convicted of a murder in the Hutch/Kinahan feud. Cumberton is serving a life sentence for the feud murder of Michael Barr at the Sunset House pub in Summerhill Parade, Dublin 1, on April 25, 2016. The same fate has now befallen his close associate Keogh. Gardai previously investigated whether Keogh was actually in the Sunset House when Barr was brutally murdered. During Keogh's lengthy trial at the Special Criminal Court, it emerged he was observed closely reading a Herald newspaper report on this aspect of the Barr case in a north inner city shop on the night before he murdered Gareth Hutch. Keogh had more than 20 previous criminal convictions for theft, and drug, public order and driving offences. Since he was a teenager he was known for having an extremely aggressive attitude toward gardai. After fleeing the country in the aftermath of the Gareth Hutch murder, members of the Hutch mob got revenge on Keogh. They murdered his older brother Michael (37) in the underground car park of the Sheridan Court complex in the north inner city less than a fortnight later. This remains an unsolved murder, which is understood to have deeply distressed Keogh. After his protests in Portlaoise Prison earlier this year, he has had only two disciplinary scrapes. The most serious of these was when he attempted to attack another prisoner in the visitor area of the jail in May. During the melee, he was cited for assaulting a prison officer. He was also reported to authorities for refusing to follow an order given by a prison officer in April. Also convicted yesterday of Gareth Hutch's murder was Keogh's sister, Regina Keogh (41). According to sources, the mother-of-five attempted to take responsibility for the welfare of the Keogh family following the death of her mother. The massive investigation into the Hutch murder is ongoing and gardai are confident they will arrest the 33-year-old Ballymun criminal known as Mr AB, whose gun jammed when Keogh pumped multiple bullets into Hutch. A European arrest warrant is in place for the notorious thug.